- round stainless-steel casing (nickel free) with a polished edge and satined surround. 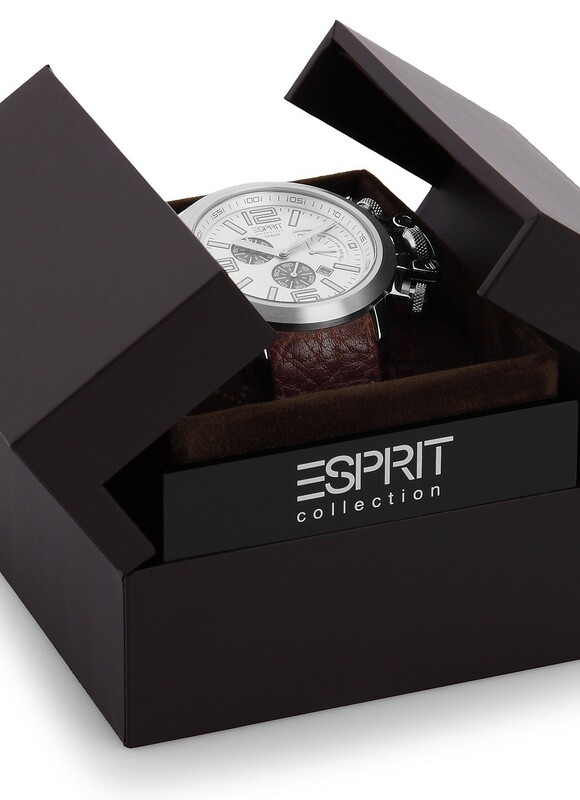 - pale dial with Esprit logo and clear layout. - display functions: time in hours, minutes and seconds, calendar with day and date, stopwatch. 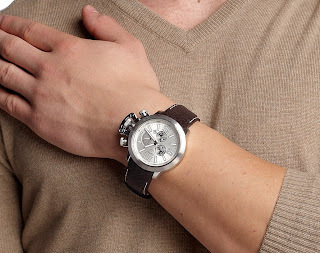 - precise, silent quartz movement. - watertight to 10 bar: wear for showering, bathing, swimming but not for diving or surfing. 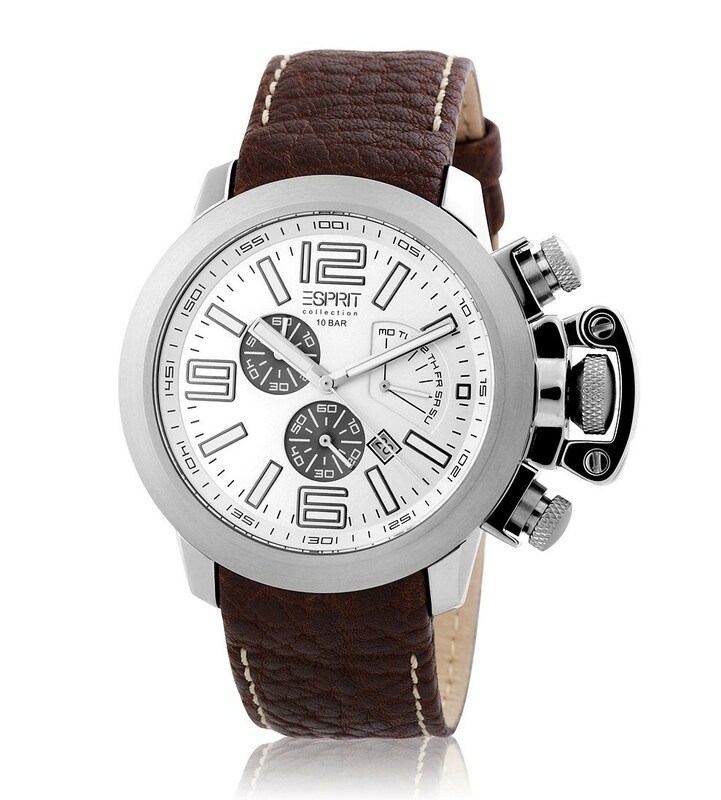 - Leather straps are not suitable for showering, bathing, swimming, surfing or diving. - size: approx. 46 mm in diameter, 13 mm high. 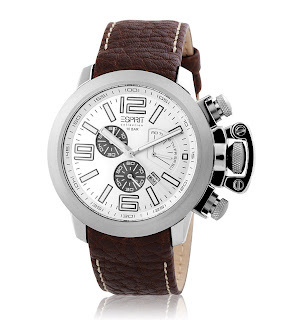 - brown textured leather strap. - approx. 22 mm wide, 3 mm deep. - Esprit logo on the buckle.